The newly renamed Renault Sport Formula 1 team has confirmed that Kevin Magnussen will race for the squad this season. Magnussen has replaced Pastor Maldonado, who announced on Monday that he will not be competing in the sport in 2016, ostensibly due to sponsorship problems. Magnussen will partner Jolyon Palmer, who was promoted from the role of reserve driver by Lotus prior to Renault’s takeover of the operation. The news was confirmed during Renault’s comeback press conference at Guyancourt on Wednesday. "It’s an incredible feeling and it means so much," he said. "It’s not only a Formula 1 drive but it’s a top drive. Renault Sport will be fighting for world championships in the future, it might have a build-up phase, but they’re here to win and that’s a goal I share. I can’t believe I’m now a part of it." Magnussen raced for McLaren in 2014 off the back of a title winning campaign in Formula Renault 3.5 and scored a podium on his debut in Australia, ultimately placing 11th in the standings. Magnussen was demoted to a reserve role for 2015 amid the arrival of Fernando Alonso and the team’s decision to retain Jenson Button, though received an abortive outing in Australia in place of the unfit Spaniard. Magnussen’s opportunities were limited across the remainder of the year and with McLaren keeping Button and Alonso, as well as the emergence of Stoffel Vandoorne, left Magnussen out in the cold. Magnussen’s options were limited due to the timing of his departure from McLaren and tentative discussions with the new Haas team were fruitless. 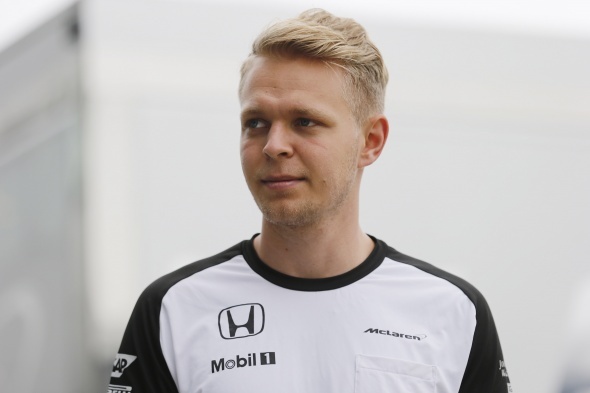 Magnussen is understood to have been in contention at Manor before uncertainty over Maldonado’s future grew. Renault’s confirmation of Magnussen and Palmer for 2016 means that Manor Racing, which fielded Will Stevens, Roberto Merhi and Alexander Rossi last year, is the only squad yet to reveal its line-up.